The only drawback to Kickstarter is that you have to reach your goal or else you get nothing. Set a goal of $100,000 and even if you make $99,999, you still get nothing because nobody’s credit card is charged unless you reach your goal. Indiegogo doesn’t have that rule. Credit cards are charged as soon as you pledge. A $100,000 campaign that only raises $500 still gets to keep that money (minus fees, of course). Personally, I’m a scaredy cat. I’d use Indiegogo if I were doing a campaign and risk getting fewer donations rather than risk getting nothing at all. Also, Indiegogo has their “In Demand” feature where, if you surpass your goal, you don’t have to end your campaign. I know that Axanar took in an additional $100,000 in the six months after their 30-day Inidiegogo campaign “ended.” And on average, campaigns can take in an average of 17% extra if they reach “In Demand” status. Kickstarter doesn’t have that. So which is the better platform to use to crowd-fund a project? MIKE: It’s not that simple. 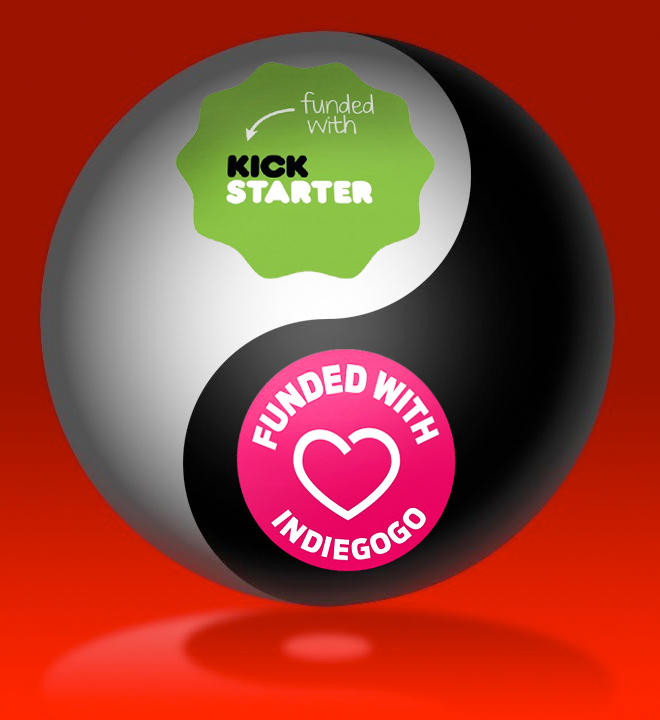 Kickstarter and Indiegogo are both very powerful tools, and they’re each appropriate for different kinds of projects. So there’s no one platform that’s right for everyone. The most important thing is to put a good amount of thought into what decisions you’re making and why you’re making them. From the conversations I’ve had with the people at Kickstarter—and this doesn’t pertain necessarily to Axanar or Star Trek Continues or anyone else in particular but to projects that are crowd-funded through Kickstarter in general—and that is that they see their platform as being as much about marketing and awareness as they do about funding. And I don’t think you would get anyone from Kickstarter telling you that you should look at doing a Kickstarter campaign as your primary source of funding but as part of the larger portfolio of the sorts of funds you use in your project. That being said, if you’re looking at Kickstarter as an opportunity, you want to make sure that the goal you set is artificially low and that you are as sure as you can be that you’re going to be able to make it. Because just as you said here, Jonathan, if the choice is, “Well, I can go on Kickstarter and appeal to more people but maybe not make my goal and not get any money versus being on a smaller platform where at least I get 100% of something…that’s better than getting 0% of something more…”—what you have to realize is that the awareness that you’re going to be able to generate through Kickstarter, the reach that you can add through Kickstarter is an advantage and an opportunity. And if your goal number is low enough and you can work up through stretch levels rather than missing your goal, then Kickstarter is a great way to go. There is a time to use Kickstarter and a time to use other funding sources. I would caution any client against looking only at Kickstarter as their full source of funds. That’s a recipe for doing lots of work and not ending up with anything as a result, especially if it’s your first project out of the box and you have no idea how you’re going to do it. That’s a huge risk that’s rarely worth taking. In that case, I’d recommend Indiegogo to start with. And maybe you switch to Kickstarter for a later project, or maybe you stick with Indiegogo. After going through the process once, most people learn a lot about which platform works best for them. But most of all, you really have to be very strategic in how you use Kickstarter, how you use Indiegogo, and how you look at other sources of funds. You need to understand that there is a great deal of self-sacrifice often involved in getting a new business off the ground. I mean, Alec is an entrepreneur; he knows what it’s like to literally make payroll out of what you’ve got in your front pocket because that’s all the money that’s left. You have to be resourceful on your own to make things work and to make the numbers work. I would really caution against anyone looking solely at a crowd-funding platform as their only source of funds. ALEC: I was really lucky in that, before we launched Prelude, I got a chance to sit with another producer who had done a hundred thousand dollar Kickstarter. And he told me in that meeting—it was a friend of Richard Hatch’s and we were eating sushi—and he told me how much time and effort the Kickstarter took. And so, when I launched the very first Prelude Kickstarter, leading up to that, I did an enormous amount of work. JONATHAN: What work did you do before the Prelude Kickstarter, Alec? Before you ever turned on the lights, what did you have to do to make sure you were ready to hit the ground running? ALEC: What I did before we launched the Prelude Kickstarter was I spent a lot of time paying attention to what Star Trek: Renegades had done in their Kickstarter…and then what they had done in their Indiegogo. I went through and I made lists of all their perks and figured out what the best levels for different perks were. Our first Kickstarter video for Prelude was based off the Renegades video, which was very impressive. I really focused on what they did right and tried to emulate it. But that’s a basic principle of business: modeling. You find who does something best, and you model what they do. I remember that in the very first Kickstarter, which was over two years ago now, all my marketing was on Facebook. I didn’t have a Twitter account at that point. I didn’t know much about those things. So it was really just on Facebook, and that’s what really drove the Kickstarter. When we released Prelude and then did the second Kickstarter, Prelude to Axanar became our Kickstarter video for the new campaign. So that definitely counts as putting in the work before launching the Kickstartter campaign…and Prelude helped us raise over $638,000. So all that hard work was certainly worth it. And still to this day, people are discovering Prelude and are being blown away by it. JONATHAN: So based on what you just said, then, was the decision wrong for Star Trek Continues to have their Indiegogo campaign end just before they released their latest episode, “Come Not Between the Dragons”? Should the timing of those two events—the campaign and the release of their newest episode—have been reversed? And I’ll tell you something; I watched that teaser and I got goose bumps! I mean, I was watching it and I was thinking to myself, “Holy crap, you guys really have just raised the bar again!” And as I finished watching it, I thought: Why are you guys HIDING this??? If you just show this to everybody out there, there would be such discussion of it online that you would get a huge boost from people who weren’t already your donors. Of course, you’re probably gonna get some boost from your donors who have already given money ‘cause they’re seeing this and thinking, “Oh, maybe I’ll give an extra ten or twenty dollars or whatever.” But there are so many more potential donors who won’t get the rush like I did, and they won’t be motivated to donate. Let me ask, have you guys seen the teaser yet? JONATHAN: Well, that pretty much proves my point. This was a remarkable teaser. I won’t spoil it, but I will tell you about this one amazing special effects sequence where this meteoroid hits the ship and the camera follows through the hole it makes in the hull. You actually speed through the interior of deck four as the camera’s traveling through this hole! And I’m like, “WOW! That’s the coolest effect I’ve seen in any Star Trek!” And the teaser ends with a really great cliffhanger…and I so want to see more. That was the thing in my head: I WANT TO SEE MORE! And would I pay to see more? ALEC: That’s okay, Jon. You’re a part of this discussion, too. JONATHAN: Well, I’ll try to be quick. And I’m not trying to bash Star Trek Continues here. I know it sounds that way, but I just want them to succeed and get more donations next time! I’m a donor, I’m a huge fan, and I even wrote a 3-part history of STC on FAN FILM FACTOR that was extremely positive and gushing. But I also need to be honest about what happened, because I feel it’s relevant to this discussion. So I saw the teaser and was nearly ready to up my donation from the $100 I’d already given. But I also heard Vic’s comment about Axanar “poisoning the well” for other fan series, and I didn’t like it. So, yeah, I sorta kept my wallet closed a little bit as a protest. I didn’t regret giving the hundred dollars I already gave, but it was sorta like, “Well, I’m not gonna make it two hundred; I’m not gonna make it one-fifty. You got what you’re gonna get from me.” So yeah, I was pissed about the comment, and it kept me from giving more. So I think Vic left some money on the table there. 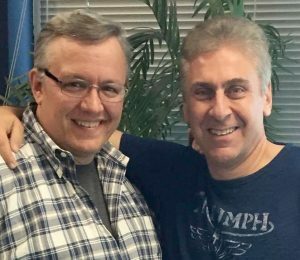 I know from the comments on Part 1 of this blog series that there were at least some Axanar donors who don’t necessarily hate Star Trek Continues who would have given to it had Vic not dissed Axanar. ALEC: Yeah, so you’re the case example for he poisoned his own well by his comment. I read those comments on your first blog, too. How much did he hurt himself? And the sad fact is, he didn’t have to! That comment didn’t gain him anything, but it probably lost him hundreds and maybe even thousands in potential donations. Now look, I don’t hate Star Trek Continues. I like it like I like Star Trek: New Voyages. I have nothing against them. I think Todd actually does a great job as Spock. And I love Chris Doohan. I think he’s amazing! 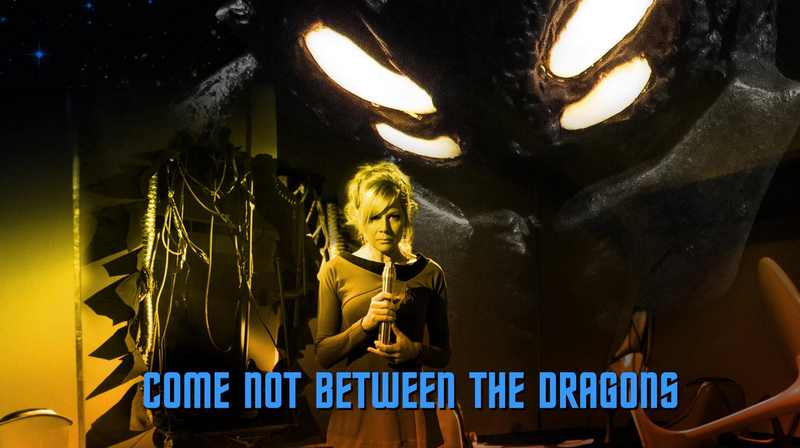 I have nothing against Star Trek Continues. I treat it like any other fan film. It’s Vic I can’t stand; I think I’ve been pretty clear about that. I said it myself in my review of this situation on my blog. I just think it’s ridiculous for Vic to be blaming us for his own missteps in crowd-funding. MIKE: I think one of the points I’d bring up is that believing somehow that Star Trek Continues, Star Trek: New Voyages, and Axanar have 100% of the potential fan film donors who are interested in Star Trek fan films is a faulty assumption on its face. 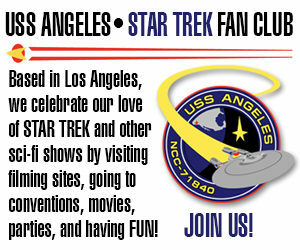 There are millions of Star Trek fans out there, and I would bet that most of them don’t know anything about Star Trek fan films. And there are ways to reach them and make them aware of what you’re doing and to invite them to help support it. JONATHAN: There are people reading this blog, Mike, who are thinking about setting up crowd-funding campaigns of their own. So if there are ways of reaching these untapped donors, please let us know! What are they? Next time: we conclude this engaging conversation with Alec and Mike as we learn about ways to reach the masses, the importance of perks, whether there’s such a thing as “donor fatigue,” and the number one mistake every crowd-funding project should not make! Previous Previous post: PROJECT DISCOVERY cancels their Kickstarter campaign!